There are things I love and things I hate about summer. Actually, I think the only thing I don't like about summer is the hot and sometimes humid weather. Obviously, the thing I love the most about the season is having a couple months off, which means lots of time for travel, projects, rest, relaxation and sleeping in! Fashion-wise, I love summer because of all of the bright colors, prints and patterns that designers come up with for those hot summer days. 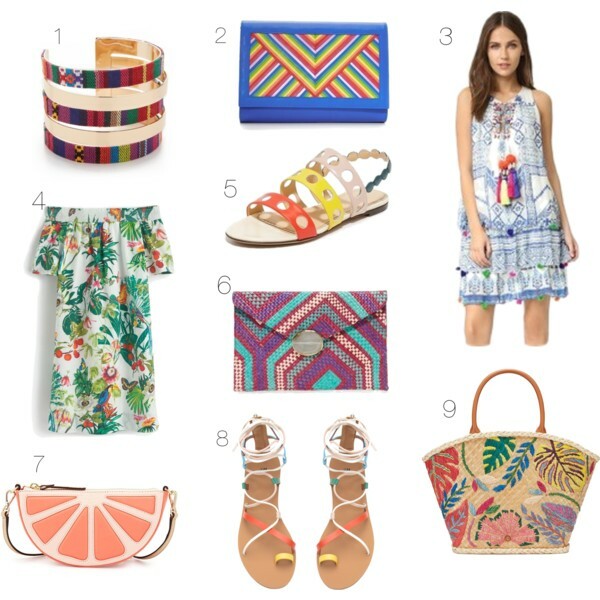 Below you will find a summer wishlist that is filled with, you guessed it, lots of color! Summer always makes me want to wear lots of color too. I love all these fun picks! The dresses and that cute clutch especially... LOVE those! !